The Vinery Hair Salon: Inspiration from an Industry Great - Chris Foster!!! Inspiration from an Industry Great - Chris Foster!!! 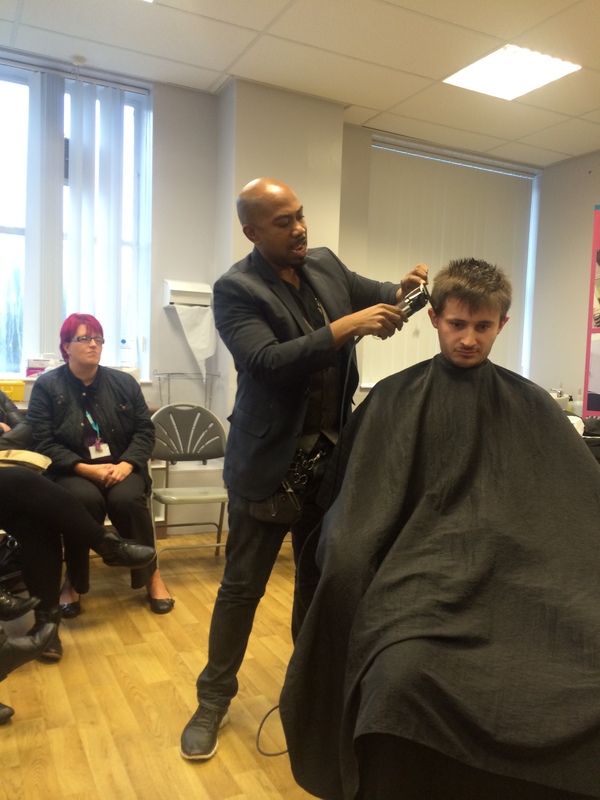 This week The Vinery's Barbering team were inspired by a fantastic demonstration at Calderdale College by Barber Extraordinaire Chris Foster as part of the celebrations for the BBA (British Barbering Awards) following the official Barbering certification of the college. Myself (Gemma! ), Angie and Jonathan went along to watch Chris Foster in action and were truly awed by his ability to create different looks through what seem to be both simple and complicated techniques. Chris used scissor over comb and clipper techniques which hark back to a very old-fashioned way of gents grooming rather than the modern lazy way of just using graded clippers! Watching Chris at work was a great experience as quite frankly he is an absolute legend in the world of Male Hairdressing and Gents Grooming. It was a real privilege to be able to watch and interact with him. Chris showcased two models, demonstrating on stage various barbering techniques and also talked us through his career journey, sharing his experiences including wowing us with the tale of how he worked on one of the largest mens fashion shows in the world with 150 models to style!! I know from my perspective I felt inspired and motivated to explore the gents grooming side of hairdressing further and my team mates Angie and Jonathan were equally enamoured by Chris and his talent for barbering! I cannot wait to try out some of these different techniques in The Vinery's new Gents Grooming Department - I always find it really valuable to share ideas and be involved in these kinds of demonstrations as it helps me and my colleagues to develop and grow our skills and it's so important in this ever changing industry to stay on top of the game!